We all want to give our kitties the best diet possible. It is an important way of promoting and maintaining their health. It helps you to provide your cat with a diet that closely matches the food that they would have eaten in the wild and natural cat food works in harmony with their body. It also helps them to avoid artificial ingredients that could cause health issues and get in the way of weight management. However, buying organic cat food is not that simple. It is important that you know what the term ‘organic‘ means and that you know how to spot food that really is organic. Also, it is useful to know the added benefits of an organic diet for your cat. 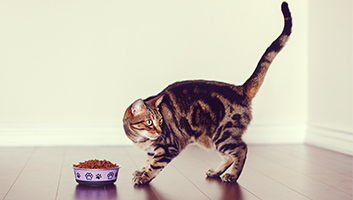 To help you make an informed decision, here is our quick guide to the best organic cat food. Packed with 32 percent protein and 16 percent fat, this premium cat kibble will give your kitty everything they need in terms of building blocks for making lean muscle and energy production. 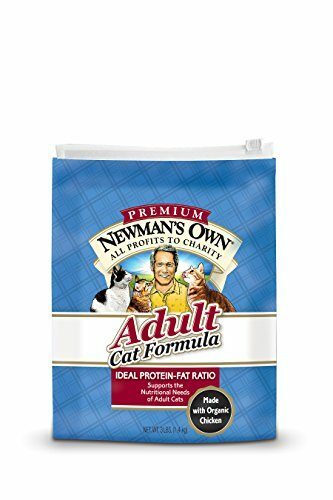 It is the totally natural choice for your cat. The recipe is based on organic sources of protein so it contains organic chicken and organic soybean meal. Added to this, are organic carbohydrates including organic peas (which are highly digestible), organic brown rice, organic millet and organic sorghum. 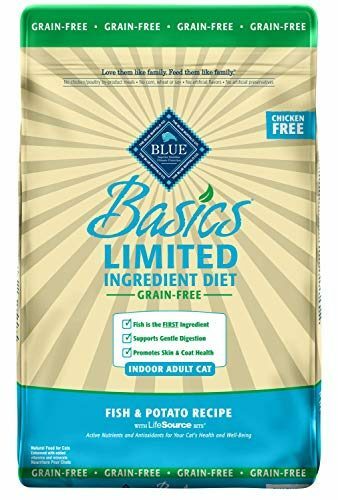 The recipe of this organic dry cat food contains essential fatty acids to promote healthy skin and a healthy coat, antioxidants to boost the immune system and proteinated minerals which are easier to absorb. It is completely free from antibiotics and any chemical additives including colors or flavorings. There is no wheat or corn as they can trigger allergies in some cats. 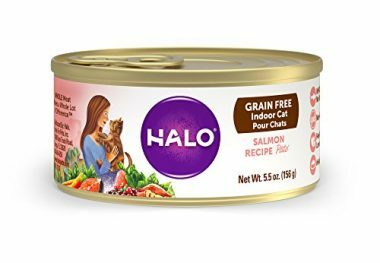 With this product you will always know exactly what your cat is eating because it is made from a small number of highly regulated ingredients. Real whitefish is the first ingredient and the only source of animal protein in the recipe. The fiber and carbohydrates are also completely natural and there is a carefully designed supplementation of Omega 3 and 6 fatty acids to keep your cat’s skin and coat healthy. The formula has been further fortified with a blend of vitamins and minerals as well as antioxidants to provide protection against disease. It is a totally natural recipe so you will find no poultry by-product meals and no artificial additives. There is also no soy or wheat. 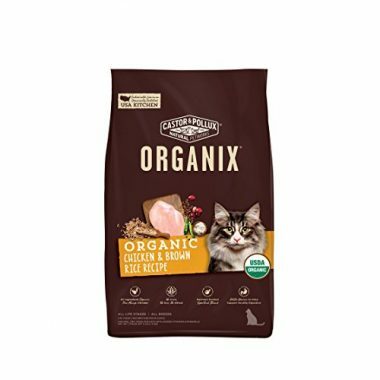 Made in the US from high quality ingredients, this organic wet cat food that is the natural and safe choice for your cat. It is based on organic chicken as the main source of protein but it also contains super-healthy ocean whitefish as well. Added to this, is organic brown rice which is an easy to digest source of carbohydrate. It will help your cat to maintain an optimal weight and provides long-lasting energy. It satisfies the requirements of AAFCO (Association Of American Feed Control Officials) as a food that is suitable for cats at all life stages. It contains no artificial flavors or preservatives and has no wheat or corn. A totally organic dry product made with organic ingredients and manufactured in a US kitchen facility that has been certified as organic. This product has passed the exacting standards imposed by the USDA National Organic Program (NOP). This means that you can be confident that every single ingredient as well as the whole production process is organic and this includes the ingredient storage and handling methods. The main protein content is provided by organic chicken meal and the vegetable sources include organic pea protein and organic oatmeal. The organic carbohydrate sources are brown rice, barley, and sunflower seed meal. Even the added coconut oil and flaxseed are organic as are the natural flavorings. There are absolutely no artificial preservatives, antibiotics, chemical pesticides or synthetic fertilizers used in the production of this product. A nutritious kibble that is small in size so your cat will find it easy to chew and swallow as well as loving the crunch! The all-important meat protein content is provided by farm-raised chicken from US sources and the total protein content is 32 percent. This is then added to other ingredients in safe US facilities. The suppliers of all of the ingredients have undergone rigorous testing to make sure that you have complete peace of mind about the safety of the product. The carbohydrates are provided by potatoes, peas and pumpkin which are both nutritious and easy to digest. They are also healthy sources of fiber in the diet. There is added taurine for heart and eye health and omega oils for the skin and coat. 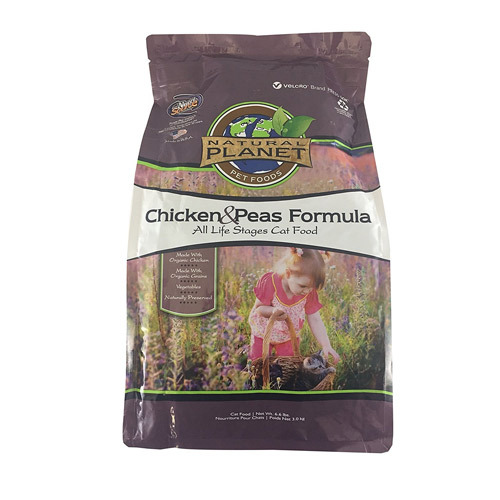 It contains no poultry by-product meals, no grain, gluten or fillers so it is the healthy choice for your cat. You can trust the sources of the ingredients in this wet cat food that is designed for cats that have an indoor lifestyle. It is made with real, whole salmon that has been sustainably sourced and wild caught. The recipe stays as close to nature as it can by eliminating meat, chicken and fish meal, GMO fruits and vegetables, rendered meat meal and any protein sources which have involved factory farming. All of the animals used in the production of this food have not been raised using antibiotics or growth hormones. It is packed with natural flavors and healthy vegetables such as spinach and carrots. 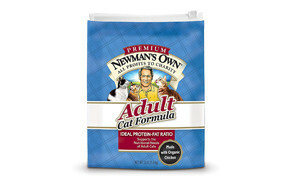 It also contains plenty of vitamins and mineral supplements and has a high water content to keep your cat hydrated. A dried cat food made in the US using the highest quality ingredients. 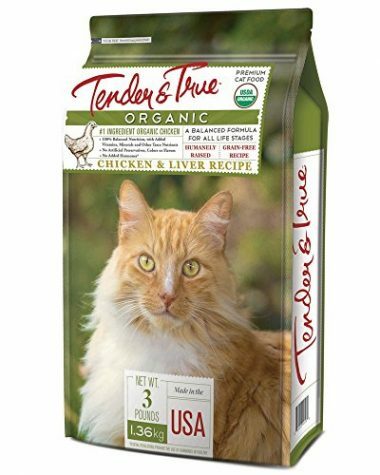 The protein source is whole organic chicken which offers complete and balanced nutrition for your cat. The chicken is certified as organic by the USDA. The recipe has added vitamins, minerals and trace nutrients. To maintain a completely natural product, there are no artificial colors, flavors or preservatives. It also has no added hormones and is suitable for cats at all life stages. 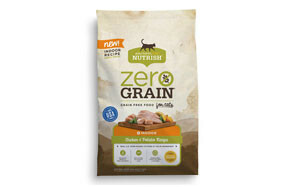 A fully organic wet cat food that delivers 9 percent protein and 5 percent crude fat. 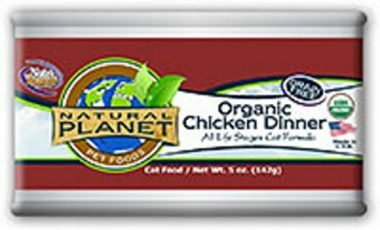 The protein is provided by organic chicken that has been bred as free-range. It also contains organic chicken liver. To provide a completely balanced and highly nutritious organic food, it is also made with organic peas and organic coconut power. All of the added superfoods are also organic and these include flaxseed, cranberries, alfalfa meal and dried egg. The vitamins, minerals and micro-nutrients complete the balanced recipe. You can be confident that there are no chemical pesticides or synthetic fertilizers in this recipe and there are also no artificial preservatives, growth hormones or any meat products reared using antibiotics. With a crude protein content of 10 percent and plenty of moisture to keep your kitty hydrated, you can’t go wrong with this wet cat food. 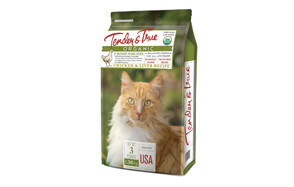 It is suitable for cats at all life stages and has been certified as organic by the USDA. The meat protein content of the recipe is provided by organic chicken, organic chicken broth and organic chicken liver. Added to this are organic flaxseed oil and sunflower oil which are natural sources of omega oils. To promote overall health there is added taurine and plenty of other vitamins and minerals. An organic dried cat food that is both nutritious and tasty. It is based on a single source of meat protein which is organic chicken. To this are added fresh organic fruits, vegetables and grains. They are blended together and naturally preserved so your kitty gets complete and wholesome nutrition as well as a great taste. It is a protein-rich recipe which is suitable for cats of all life stages and approved by the Association of American Feed Control Officials (AAFCO). The recipe has added probiotics and prebiotics and is rich in minerals, vitamins and Omega 3 and 6 fatty acids as well as antioxidants. It is important that you speak to your vet before you make the switch to an organic cat food diet. They will be able to advise you on what you should look out for in a food that will suit your cat’s breed, lifestyle and age. If your cat has any particular health issues, your vet can advise on the best diet to help with this. Don’t just buy the first organic cat food that you come across. Do your research and choose a brand that has the features that you require. Get into the habit of reading labels carefully. Here are some of the things that you should look out for. High protein content. Cats are carnivores and require a lot of meat protein in their diet. A source of meat or fish protein should be the first ingredient on the ingredients list which means it is the main constituent of the recipe. High quality protein. Not all sources of meat protein are equal! You need real fish or meat which are packed with amino acids. Avoid meat by-product meals. USDA certification. To be sure that the food is actually organic, look out for the USDA certification. Appropriate carbohydrates. Cats only need small quantities of carbohydrates but they must be healthy and easy to digest. Look out for things like organic pumpkin and organic brown rice. Micro-nutrients. Your cat needs a whole range of micro-nutrients to keep them healthy. Look out for omega oils for a healthy coat, taurine for heart health and a range of vitamins and minerals. Artificial additives. These are not needed in organic cat food so buy a product that specifies that there are no artificial additives. A label of ‘organic’ means very little on a tin or packet of cat food if it is not backed up with the seal from the USDA. This is because organic cat food is not regulated. Avoid buying food that does not have the seal because you have no guarantee that it is actually organic. It may however, be natural and this may be sufficient for your needs. Also, avoid buying foods that have any sort of fillers such as wheat because these offer little in nutritional content and can trigger allergies. The same is true for meat and poultry by-product meals. Organic cat food can be healthy choice for your cat and has many benefits. Here are some of the main ones. In organic food, the emphasis is on natural and wholesome ingredients which are packed with nutrients. You won’t find the cheaper ingredients which are often called fillers. These offer no nutritional benefits. You also won’t find cheap, low-quality sources of meat protein such as poultry by-product meals. You are more likely to find real meat and wild caught fish. Sadly, digestive issues are common in cats. They can include diarrhea and foul-smelling feces as well as vomiting and this is unpleasant for both the cat and the owner! Organic cat food contains no artificial ingredients which are often difficult for your cat to digest and cause stomach upsets. Organic food, on the other hand, usually makes your cat produce regular poops that are well-formed and smaller in volume. Cats fed on organic food are more likely to be healthy. They have a better chance of maintaining a healthy weight and are therefore less susceptible to chronic illnesses that can make their lives miserable. This is especially important as your cat reaches their senior years and their ability to enjoy life potentially diminishes. You should be able to see the benefits of an organic cat food diet when you look at your cat! Their coat is more likely to be thicker and smoother and will shine. This is caused by the improved nutritional content of organic food as well as essential micro-nutrients such as omega oils. The best cat food is packed with micro-nutrients. Cats given healthy food live longer than cats that eat unhealthily. This is true for humans and all other animals as well! A nutritious and balanced diet provided by natural cat food brands is essential for a cat’s body to function properly. A natural diet results in fewer by-products in the body so the organs can function correctly and prolong life. A healthy organic diet is packed with protein and healthy fats and carbohydrates and these are what your cat needs to produce a lot of energy. They do not have to waste energy trying to digest substances that are unnatural. A cat that has plenty of energy will play and hunt and interact with their owner. They will have plenty of calories to burn and will maintain a healthy weight due to their active lifestyle. Many cats suffer from allergies. They can cause skin and digestive issues that are very unpleasant. Artificial additives and chemicals are amongst the culprits that can trigger allergic reactions. By using a more natural cat food, many problems can be avoided. Whilst it is true that organic cat food brands are usually more expensive, they could actually save you money in the long run. You are going to need less of it because it is so nutritionally dense and satisfies your cat for longer. It is also very tasty and appealing to cats so there will be less waste. Because your cat is likely to be healthier, you will spend less money on medication and on vet’s bills as well! Q: What is organic cat food? 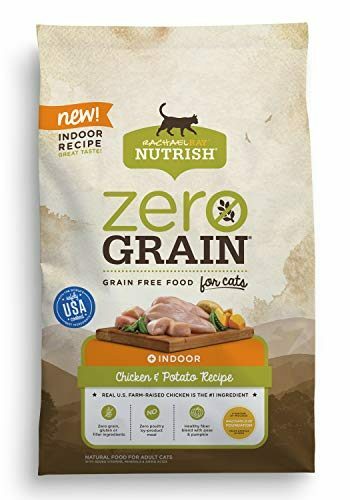 A: It is important that you understand how labeling of cat food works in the US so that you can be sure that you are buying a truly organic product. In theory, any cat food manufacturer could label their product as organic but this can be misleading because there is no designated labeling for organic cat food. However, the National Organic Program (NOP) is a regulatory framework which governs all organic foods, including human foods. If pet food manufacturers choose to adhere to these standards, they will be awarded NOP certification and you will be able to see the USDA Organic seal on the cat food label. 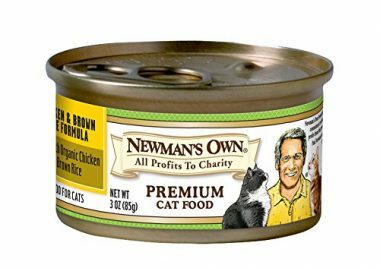 So, how do manufacturers of organic cat food achieve that coveted seal? Firstly, they must make sure that at least 95 percent of the ingredients of the recipe are organic. Also, the name of the USDA-accredited certifying agent must be disclosed. It’s not just about the ingredients, the processes are important too. This means that all of the ingredients must have been grown and processed without using any toxic pesticides or persistent pesticides. There must have been no use of artificial flavors, colors or preservatives. In terms of meat products, the animals must have been reared without the use of synthetic growth hormones or antibiotics. The recipe cannot contain any GMOs and must not have been irradiated. The manufacturer is required to maintain detailed records relating to the production and processing so that everything can be traced. They will also be regularly inspected to ensure that they are complying with the requirements. 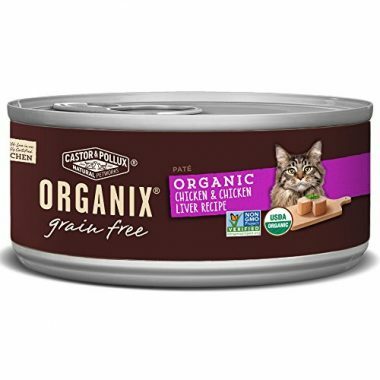 Q: Is organic cat food better for my cat? A: The better quality food you feed your cat, the healthier they will be. Organic food is more natural and therefore closer to the natural diet of a wild cat. This is always going to be better for your cat because natural cat food will work in harmony with their body. They contain high quality sources of protein which are very important for a cat’s diet. Cats are natural carnivores and require a high protein diet. This provides them with energy and with the amino acids that they need to build strong and lean muscle. The fewer chemicals and additives the food contain the better as this is the best way to avoid allergies and other health issues. Q: Should I feed my cat organic raw cat food? A: You may think that it would be better (and cheaper) to simply give your cat a diet of organic raw meat and other foods that you prepare at home. However, this may not be the case as there are dangers associated with doing this. Firstly, there is the risk of diseases such as salmonella infection being transmitted to your cat (and their owner) from the raw meat. Secondly, it can be very difficult to make sure that your cat is getting all of the nutrients that they need. The best natural cat food that has been commercially prepared has been very carefully designed and has Omega oils, vitamins and minerals in exactly the right amounts. They, therefore, support all aspects of your cat’s health including their immune system and their skin health. If your cat is fed a raw diet, even if it is organic, you will probably have to give them supplements as well. Our top pick of the best organic cat food contains 32 percent protein and 16 percent fat in a crunchy kibble. It is based on organic sources of protein which are organic chicken and organic soybean meal. There are also organic carbohydrates such as organic brown rice, organic millet and organic sorghum. The fatty acids promote healthy skin and the antioxidants boost the immune system. There are no antibiotics or chemical additives. What Is the Difference Between Natural and Organic Cat Food?